I have just been looking at the website of Westminster Cathedral Choir School. You are probably thinking that it’s a bit late in life for me to enrol as a chorister, and of course you would be right, but you see if I turn the clock back some 60 years or so, I can trip down ‘memory lane’. As a young boy aged 9, I was one of a small group of boys to be accepted for training as a chorister at Westminster Cathedral Choir School which was just re-opening after the 2nd World War. I remember my first days at the school, a combination of home-sickness and excitement, and a real desire to do my very best. My Mum always thought that I could sing, and many was the time that I reluctantly performed my party piece, ‘The bells of St Mary’s’ - a Bing Crosby hit of the day! Then when I was accepted as a chorister, maybe I could sing after all? I soon learnt the painful reality that only through determination, real hard work and occasional tears, was I going to achieve anything like the standard required. The Headmaster was Fr Herbert Crees, a gentle, kind man, very sympathetic to the problems of the boys, and who I liked very much. I remember his deputy Fr Shepherd, and two other priests who were teachers, Fr Gordon Wheeler (later Bishop Wheeler) and Fr Kilcoyne. There was a lady School Nurse whose name I cannot remember. The Choirmaster at the Cathedral in those early days was a Mr Lloyd, and the existing choir was men only. Mr Lloyd and his choir had faithfully served the Cathedral throughout the difficult and often dangerous war years, and it was only a few weeks before he retired. The new Choirmaster, Mr George Malcolm, was a brilliant musician in his own right, and a superb teacher and Choirmaster, who as a boy had been something of a child prodigy on piano and organ. As for the Choir School, all the boys joined at the same time and we all had to learn the rudiments of singing virtually from scratch. The school building itself was the same building as is currently used, but of course very basic after the war years. I remember the refectory where meals were served via a small pulley-type hand lift which brought the food up from the kitchen below. Food was simple but adequate, food rationing was still in force. I think that the total number of boarders was between 15 – 20, and there were a few day-boys, probably no more than 5 or 6. I think that my first meal consisted of sausages (strictly rationed) and baked beans. The boys used to receive ‘tuck’ parcels from home, with extra goodies/sweets etc, which were received with great pleasure and excitement by the recipients, and a certain amount of envy by everybody else. The school day began at about 7am or 7.30a.m. when I think that all the boarders would attend Mass in the Cathedral Crypt. Now the Crypt is rather special, being down in the basement as it were, rather gloomy and mysterious, with access via a narrow, winding staircase, with the well-worn hats of various deceased Cardinals hanging from the walls and ceiling, creating a rather ‘spooky’ Gothic effect. Access to the Crypt was via a staircase leading from the main corridor joining the back of the Cathedral to Archbishops House, which also gave access to the Cathedral Choir stalls and Organ behind the High Altar, and to the School on the opposite side of the corridor. In addition to the daily School Mass, the boys were frequently required to serve Mass for different priests in the side-chapels of the Cathedral, and I remember a friendly rivalry between the boys to collect as many ordination cards as possible. I still have one or two of these, including that of Fr (later Bishop) Wheeler. The Cathedral itself, of striking Byzantine design unique in this country, had suffered from the effects of the blitz., but fortunately it had not received a direct hit from bombing raids, although there had been several near misses. I believe that the Cathedral remained used and open during the whole of the war. The unfinished interior decoration of the Cathedral had been on hold for many years, and it looked rather like most buildings at that time – somewhat neglected and the worse for wear, however to me, a small boy, it was mysterious and magical! The huge domed roof with massive, high supporting brick pillars, the grand marble pulpit, the wide, spacious Sanctuary with choir stalls either side from which the clergy sang the daily office in Latin - which they did in those days - and the numerous side chapels dedicated to different Saints, with the Blessed Sacrament Chapel and the chapel of Our Lady the only chapels in which the decorations had been completed, or almost completed. 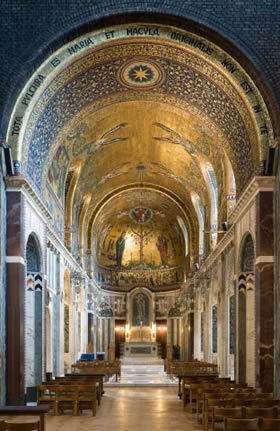 These two Chapels, decorated throughout in gleaming gold and richly coloured mosaics, were absolutely beautiful, and to me the ceiling, particularly in the Lady Chapel, looked as though it were lined with pure gold! There were other hidden places in the Cathedral, such as the narrow passages set high up on the inner wall of the body of the Cathedral, which offered a birds-eye view of everything happening in the Cathedral. There was a bomb crater in the grounds of the Cathedral and I remember searching for pieces of mosaic in and around the crater, for these had assumed the quality of jewels in my childish mind. The day in the life of a chorister was very full and at the end of the day we were ready for bed. As well as singing practice which I think was every morning and possibly afternoon, we were taught the normal educational subjects for boys of that age, with a period for homework in the evening. Once a week we travelled by train from Victoria Station to Battersea Park where we played football. In those days conditions were basic, only outside taps and cold water to wash away the worst of the mud, and I don’t remember that we had proper goalposts etc. – but nevertheless it was fun and it gave us some exercise in the fresh air. I remember that a fellow chorister Colin Mawby, was a great Portsmouth FC fan and every week he received the local sports paper through the post. Colin became a very well known conductor and composer in later life, and in fact was Master of the Music in Westminster Cathedral for many years. I believe he eventually accepted an important appointment in Radio Eirenn - if by any remote chance you should read this blog Colin, my very best wishes, although you may well not even remember me! It’s strange how little, inconsequential things stick in one’s mind, such as the occasions I accompanied Fr Shepherd on foot to the ‘battery shop’ in Vauxhall Bridge Road. His radio, like most radios at that time, relied on a good battery. Not the sort that we use now, but one rather like a car battery which had to be topped-up/recharged or whatever, fairly frequently. We also paid the occasional visit to the public Swimming Baths which were near Victoria Station. I did not like these visits very much, being afraid of deep water and certainly not liking the cold. I enjoyed the lessons at school, and if we did well, we were in line for a prize at the end of Term – usually a book of our choice. I loved reading and I loved books, so this was a great incentive! I also loved singing and I was very ambitious to do well. George Malcolm drove us hard and kept us humble, but when things went well in the Cathedral, it was worth every disappointment in rehearsals! After a sung Cathedral Mass or other ceremony, I always hoped that Mr Malcolm would be pleased with our singing, but he was a man of few words and of course he wanted perfection, so my hopes were not always fulfilled. He was a good and gentle man and I cannot remember seeing him angry, although no doubt he was tempted on occasion! When he did express pleasure, I was ‘floating on air’ as the saying goes, for if he was pleased then I was very happy! We gradually became more proficient at reading and singing Gregorian chant, as well as polyphonic music. I was particularly fond of the Palestrina Masses and motets. As the months went by we gradually became more accomplished as a choir and the choral work became more challenging. I remember accompanying George Malcolm and a chorister - I think his name was Paul Wilson, to a recording studio for Paul to make a recording. He had a beautiful, rounded, rich treble voice, the best voice in the choir at that time, but I cannot remember what he recorded. Of course this was before the days of cassettes etc, and the recording I presume was on a record disc. I remember going to stay with Paul and his mother at Fordingbridge in the New Forest. They had a small caravan in the grounds, in which Paul and I slept, which I found quite exciting. I was very proud to be told one Christmas that I was to sing a solo in the Cathedral. 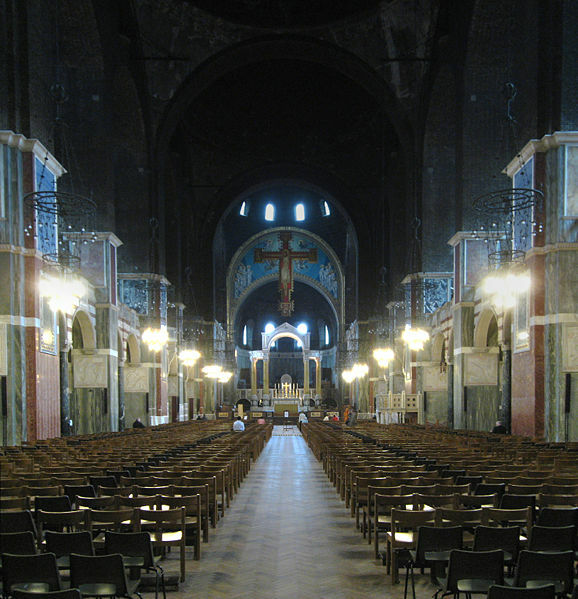 For those who are unfamiliar with Westminster Cathedral, the Choir stalls are situated high- up behind the High Altar, with the choristers virtually hidden from the congregation. The thought of singing a solo at Midnight Mass with a packed Cathedral, was very exciting - if a little intimidating. As Christmas Day neared, I became more excited but tried not to show it. Two days before I felt unwell, and on Christmas Eve I had to see the Nurse, who confirmed my worst fears - I had mumps! This is highly infectious and I was immediately banished to the sick bay. Needless to say I never did sing my solo! During my stay at the Choir School I regularly suffered from ear-ache, and those who have had the misfortune to suffer this, will know just how painful this can be, particularly for a child. This happened so often that finally I was admitted to the Ear, Nose & Throat Hospital, Golden Square, Soho, for minor surgery. This cleared-up the problem, although I think that like many other children of that era, I was probably rather run down as a result of years of food rationing and shortages, combined with the understandably demanding work ethos at the Choir School. This is not a criticism in any way, for I loved the challenge and the comradeship of the Choir School, and I loved singing in the Cathedral and everything about the Cathedral - but it was hard work. I remember on one occasion, I think it was probably my first Easter there, we choristers had the privilege of having our feet washed during the Maundy Thursday ceremonies, by Cardinal Bernard Griffin. The ‘bonus’ for us boys was that we each received the princely sum of 2/6d (a shiny half-crown piece) as a gift from His Eminence. Since that occasion Cardinal Griffin has always enjoyed a special place in my heart! We enjoyed the occasional outing, I remember a day at the seaside with Fr Wheeler – I think we visited Eastbourne, also a trip to the famous Catholic shrine of Our Lady of Walsingham, and I’m sure there were others. I have to admit to being somewhat homesick at times, and this coupled with my rather poor health and my mother’s wish for me to be at home in Sussex, resulted in my leaving the Choir School after less than 2 years. At the time I was quite pleased, mainly I think because I imagined that I would have more freedom and perhaps less hard work, and I had been rather unwell, but later in life I very much regretted leaving when I did. However man proposes and God disposes, and who knows what might have transpired - for better or possibly worse, if things had been different. 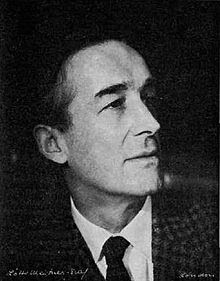 I am forever grateful to George Malcolm and all at the Choir School, for inculcating in me a love for singing, especially for singing Church music which is uniquely for the glory of God. 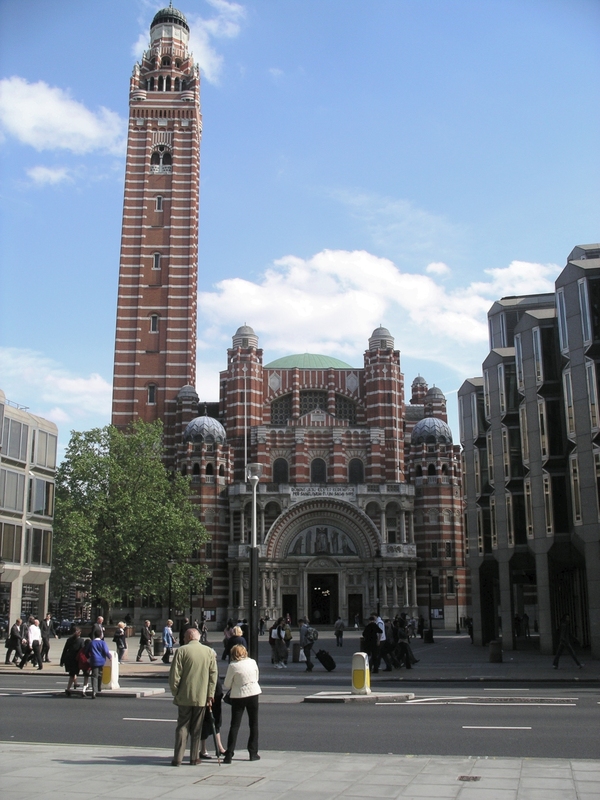 I have also always retained a special affection for Westminster Cathedral which I have always regarded as the English ‘St Peter’s’. Spiritually I see it as the centre of the English Catholic Church with it’s history of great and famous Cardinals. Sadly the crisis in the Church brought on by Vatican II has meant that the celebration of the traditional Latin Mass of Pope St Pius Vth has been neglected, if not totally abandoned, in the Cathedral over many decades, with great cost to the Faith. Recently, thanks to the courage and spiritual vision of our Holy Father, Pope Benedict XVIth, we have had the ‘Moto Proprio’ confirming the absolute right for all priests to offer the traditional Mass at any time and place, and I hope and pray and believe that this return to Tradition will see the re-emergence of Westminster Cathedral as the fulcrum for a great 21st century Catholic revival in our country. I have always loved singing, and we are fortunate in that we are able to sing Gregorian chant on special Feast days, in Our Lady’s chapel on Stronsay, Orkney, where we now live, as well as enjoying the privilege of the traditional Latin Mass celebrated daily by one of the Redemptorist Fathers from Golgotha Monastery, Papa Stronsay. Prior to moving to Orkney 5 years ago, I had been very fortunate over the years, in being able to sing in several excellent choirs performing major choral works in different Cathedrals and churches, and other venues, both in the UK and abroad.. On a lighter note I have also managed to savour the delights of many a Gilbert & Sullivan chorus, great fun! Without my good fortune and privilege as a chorister at the Choir School, I would have missed out on the pleasure and fulfilment of singing both then and later in life. 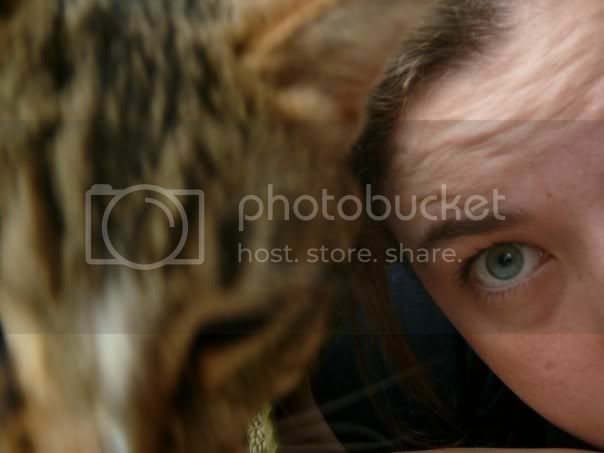 Although I make no apology for these self-indulgent reminiscences, I do ask for your forbearance. I wanted to put down in writing my thoughts and memories of my relatively short time at Westminster Cathedral Choir School, before it is too late! I hope that you will find something of interest therein. It may be that other ‘old boys’ from the Choir School may read this, and perhaps be able to add memories of their own. I pray that God will bless the choristers, past and present, and all the teachers and staff. Above all I pray that the spirit of reverence and devotion to Christ Our Lord, to Our Blessed Lady, to the Holy Catholic Church, and to the sacred and traditional liturgy and ceremonies of the Church, will always reign supreme. To conclude, I have visited the Cathedral many times over the years, although not recently, and a great deal of work has been completed on the interior decoration, both in the body of the Cathedral and in the side chapels. An open paved area has been created outside the main entrance of the Cathedral, and of course the Cathedral Tower continues to dominate, providing a magnificent aerial view of London. I remember as a young man going to the top of the Cathedral tower with my then girl-friend. It happened to be the day of the State funeral of King George VIth in 1952, and whilst we were enjoying the view, the whole of London came to a standstill as a mark of respect for the dead King. It was amazing to look out over London and see virtually nothing moving, it was as though everything was frozen in a ‘time-warp’. This only lasted a few minutes and then everything came to life again, it was a once in a lifetime experience. George Malcolm remained as Master of the Cathedral Music for many years and when he finally relinquished this post the Cathedral Choir had become recognised as one of the foremost Cathedral choirs in the world. Mr Malcolm continued his musical career as a harpsichordist of world renown, and made many concert appearances and recordings over many years. He died in 1997 aged 80 years. Thank you George Malcolm, for everything you taught me. I remember you daily in my prayers. R.I.P. This is a beautiful post. Thank you for putting your memories down in writing so that we might enjoy them and even learn a little something therefrom. What a wonderful post. I can relate on so many levels. Although not a chorister as a boy, I attended Chetham's School of Music as a boarder from the age of 12 and was great friends with many of the choristers at the cathedral in Manchester. I can very much relate to your affinity with Westminster Cathedral. I have long visited there and enjoyed the architecture and the excellent choir. Recently the LMS has managed to arrange for the new rite altar to be removed for its masses which has restored the sanctuary to something of its former glory at least temporarily. Thank you very much for this wonderful post. Thank you so much for the flood of memories you brought back. I was at the school between 1960 and 1965, I remember Fr Kilcoyne as Headmaster athough I can't remember if he held the post for my entire time. I was a server, not a chorister, so I particularly remember the rivalry to serve mass in one of the side chapels. The walks to the swimming baths were, as far as I remember midweek treats for us. And, occasionally, we would go up the tower (with or without permission I can't recall) and finding box after box of mosaic stones stored there for goodness knows how many years supposedly from those times when they were intending to cover the bare brick inside the Cathedral. But, far and away, my most vivid memory was the day that President Kennedy came to the Cathedral in 1961, for a christening as far as I remember, and afterwards we were all lined up along the red carpet as he walked back to the Archbishops House and was thoughtful enough to stop and shake each of our hands. And then, of course that dreadful day 2 years later when we heard of his assassination. Living now in California, i make it back to England only every other year or so and, since it is almost always a family visit at Christmas, the school is closed so I haven't been able for many years to visit and see the changes first hand and so your post has been a very welcome find. Thank you again. Mark Rees, Thank you for your comments. I met Fr Kilcoyne some years later. If my memory serves me right, he was then a Monsignor and was in charge of the large parish church in Warwick Street, central London. Yes, the Choir School was absolutely special, very hard work but wonderful memories. Interested in your account of President Kennedy's visit to the Cathedral. I too remember the shock and initial disbelief that everyone felt when he was assassinated. Quite a long time ago now, much water has flowed under the bridge since then. Good to hear from you Mark. God bless you and yours. Brian . umblepie: Dear Brian, I also wish to thank you very much for rich account of your time in Westminster Cathedral Choir School. I also see among the comments below one is from Mark Rees written 2009. He got in contact with me after reading an article of mine in "The Record" - the Old Boys Association Newsletter, Issue #5 2015 entitled "Six Of The Best". He lives in California and I live in Düsseldorf, Germany and he mentioned that he would be coming to Germany for a visit in late October 2015. Needless to say, I was absolutely delighted and I met him at the Düsseldorf Hauptbahnhof / Main Station and took him to the Altstadt / Old Town where I insisted he should try the best local brew "Fuchschen Alt" beer. Naturally, we spent the hours reminiscing about the time at WCCS and if we had stayed in contact with any of the other boys since then? Due to the many years both of us have spent overseas both of us had to admit that there were not many, in fact, only one Gerard Allardyce, whom I managed to find on Facebook, who today is a successful author. I also met up with Colin Mawby in Cologne in 2012 for the Premiere of "Tod, wo ist Dein Sieg" - it was the first time we had seen each other in 47 years! Many thanks also for the reminder about the "Free Wednesday" where we used to trundle off to a Public Baths near Victoria Station and then later in the afternoon parents or guardians were allowed to take us out for the day. I enjoyed going to the cinema to see all those epic films of the era. Wonderful memories still fresh in my mind, yet nearly 70 years ago! For some reason your comment was duplicated, so it made sense to delete one. I still have my School Reports kept by my mother and passed on to me when she died. I notice from these that one of the teachers was a Fr Robin Witney, who I failed to mention in my original post. 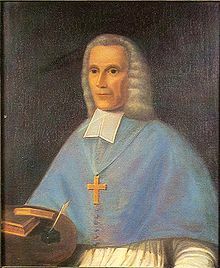 Prayer for the beatification of Bishop Richard Challoner, Bishop of Debra, Vicar Apostolic of the London District 1758-1781. O God, who didst make thy servant Richard a true and faithful pastor of thy little flock in England, deign to place him among the Blessed in Thy Church, so that we who profit by his word and example, may beg his help in heaven for the return of this land to the ancient faith, and to the fold of the one true Shepherd, Jesus Christ our Lord. Amen. Slightly frayed around the edges and still trying to pretend that I'm not really as old as that! I thank God for all my blessings, particularly my Catholic faith; my wife a 'pearl of great price'; my children and grandchildren; my friends; our dog Dartmoor; and our good neighbours and spiritual mentors, the F.SS.R community from Papa Stronsay.